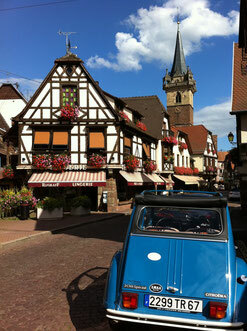 Guided private tours in a 2cv, directly from our house ! Discover our Bruche Valley, and all of the events organized in our area throughout summer, by clicking on our local Tourist Office link. 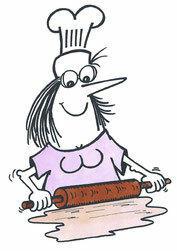 Participate in a bakery workshop with Catherine ! Bring along your enthusiasm and your favourite apron, the one you can get deliciously dirty ! Everything else is provided. 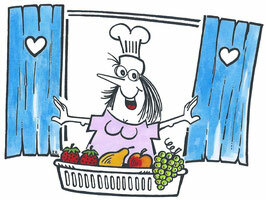 Topics will be defined according to the number of participants and their tastes. The workshops are open to all, little ones and grown-ups, for individual or group sessions. The green setting and the surrounding forests are perfectly suited for hiking and mountain biking. Several hiking trails and even a brand new cycle track pass by the house. This is for you, sportspeople, hikers, contemplators, botanists, fishermen and nature lovers out here ! 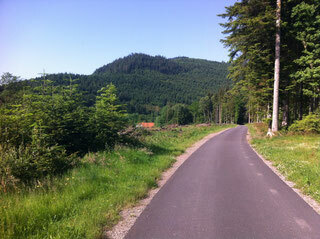 Alsace and its treasures are waiting for you, just a ride away, and are all yours to discover ! If you are not tempted by the numerous Alsatian restaurants, we can provide you with a lunch pack for your lunch break. Several marked hiking trails start right from the house. We can recommend you customised routes to suit your wishes and your fitness level : length, steepness, there is a way for every taste. 1:25 000 scaled ordnance survey maps of the area are available for you to plan your day. Hiking for small groups ! 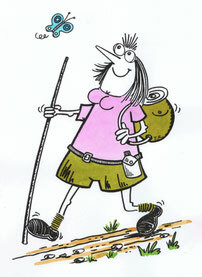 Fancy a hiking week-end ? You are a family or party of 6 adults or more ? We offer special "Hiking" deals, to discover our favourite local hidden spots : 2-night packages with evening dinner + free hiking tour ! The tarred cycle path going from Saulxures to Saales passes by the house : winding through the forest, it also allows you to reach a network of country roads and tracks linking nearby villages and picturesque hamlets. Fans of freeride and downhill mountain bike, come and ride down the Sapinot just above the village ! travel in a 16th century mine ! 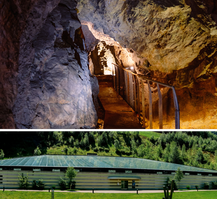 Travel in a 16th century network of underground mines ! 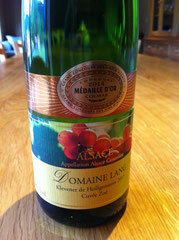 Alsatian wines are yours to discover, not only in the Autumn harvesting period but also all year long. Fancy a family activity, off the beaten tracks ? In Colroy La Roche, enjoy a special treat in La Cheneaudière's spa, a luxury **** Relais & Châteaux Resort, with their non-resident day offer. Also available for non-residents, the Hotel Julien offers his spa/wellness center, recently awarded the "Spas de France" label for the quality of its service. A horsefarm nearby (in Stampoumont, a mere 10 mn drive away from our house) offers horse back riding experiences. We will not compete with the well-built Alsace Tourist Office website, which will give you a thorough presentation of our region.